Wallpapers are the strangest things. Chances are they’re one of the things you see most on a device, especially on a smartphone. Oddly enough, your wallpaper is probably one of the least utilized and most boring aspects of your otherwise tricked out Android device – perhaps a boring black affair, or if you’re really adventurous you’ll be using the same boring image your friend sent you you last year that seemed mildly amusing at the time. Thanks to Wallpaper Changer, your Android’s home screen need never get boring again. The premise here is all rather simple. 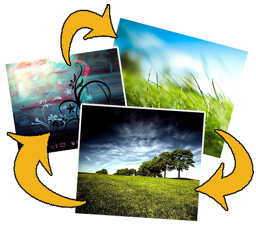 Wallpaper Changer takes a folder or album of your choice and uses the photos within it to rotate the wallpaper you see on your Android device’s home screen. 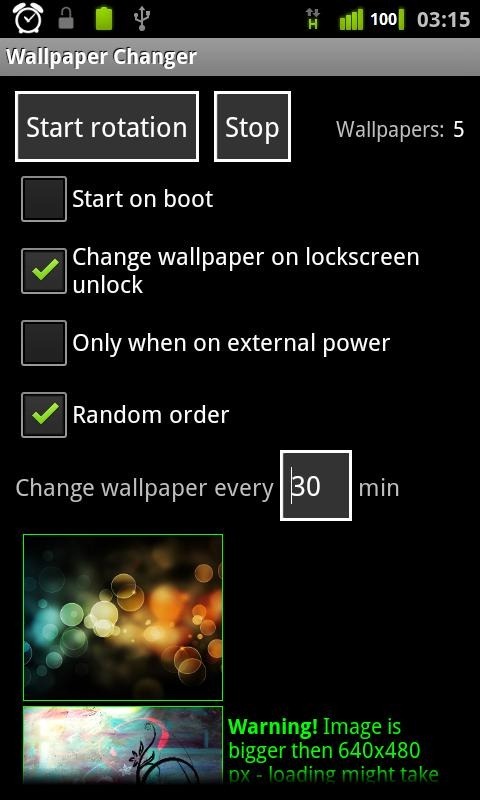 You can set how long each wallpaper is in situ for, and even decide whether the rotation occurs only on external power. Wallpaper Changer’s trump card comes in its extremely low resource usage. The app only uses resources when it’s making the change, and then it relinquishes memory for other apps to use until the next change occurs. It’s this memory management that sets Wallpaper Changer apart from all the other apps that do a very similar thing – just not quite as well. Images can easily be added to the rotation list by using the Android Gallery app, to change the widget icon press the menu button in the app and select "Preferences". This app is optimized for battery life & performance, so it might take some seconds to actually change the wallpaper after a click on the widget! Wallpaper changer is free, and available now on the Android Market.